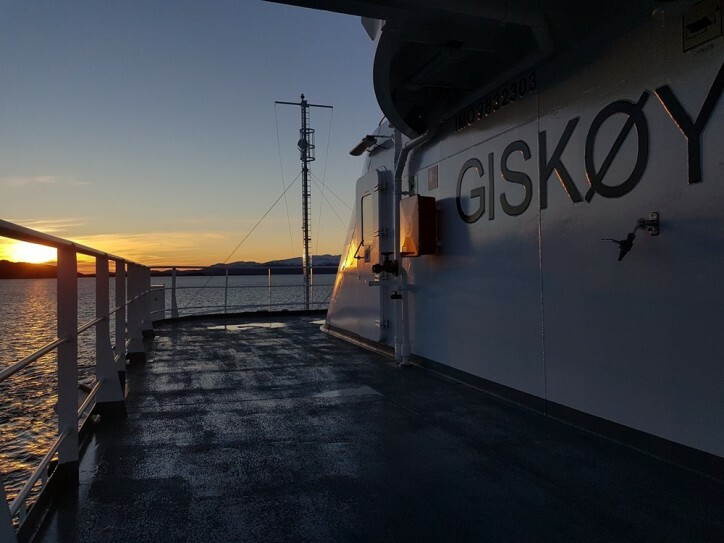 Havyard delivered the third battery-run ferry for the Hareid–Sulesund route to Fjord1 yesterday, and the Sulafjord is thereby ready to become a green fjord. In order to deliver ferries with extremely low energy consumption, Havyard has developed digital ferry models and incorporated them into a ‘digital Sulafjord’ made with unique weather data from the area. 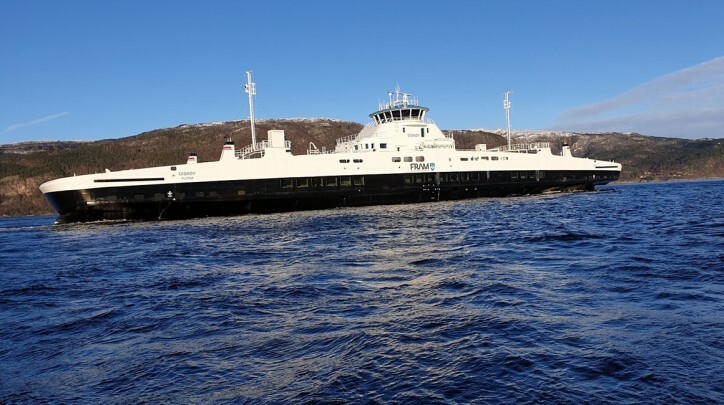 Caption: The third battery-run ferry for the Hareid–Sulesund route was delivered on Mar 19. The planned battery-operation of the ferries will reduce CO2 emissions by around 90 per cent when compared to them running on traditional fuel. Photo: Stig Breidvik. The Norwegian Public Roads Administration has invested over NOK 100 million in measurement masts and buoys in the Sulafjord. These provide data about wind, current, temperature, wave height and wave length that Norwegian researchers have not previously had, and that provide a unique insight into a fjord. Havyard uses this data in its work on developing the new ferries that are set to cross the Sulafjord. R&D Manager Kristian Steinsvik explains that they have used the data on weather, wind, currents and waves to digitally recreate the conditions in the Sulafjord. In this virtual test tank of a fjord, a digital model of the ferry was tested, among other things to optimise the shape of the hull. The process also includes variables related to the ferry’s operation profile with many and frequent dockings. The planned battery-operation of the ferries on the Hareid–Sulesund route will reduce CO2 emissions by about 90 per cent when compared to them running on traditional fuel. This is a reduction of almost 8,000 tonnes of CO2 per year. Havyard Group has had a long-term systematic focus on development work related to optimisation of hull lines and energy consumption. Using its own calculation cluster as its virtual test tank, it has over time delivered increasingly green vessels for offshore operations, support vessels for wind farms, a record number of ferries, and now also the design for the Kystruten coastal route. CEO of Havyard Group Geir Johan Bakke says that the calculation methods and virtual testing of models against weather, wind and wave data have gone a long way in optimising the vessels and cutting energy consumption.